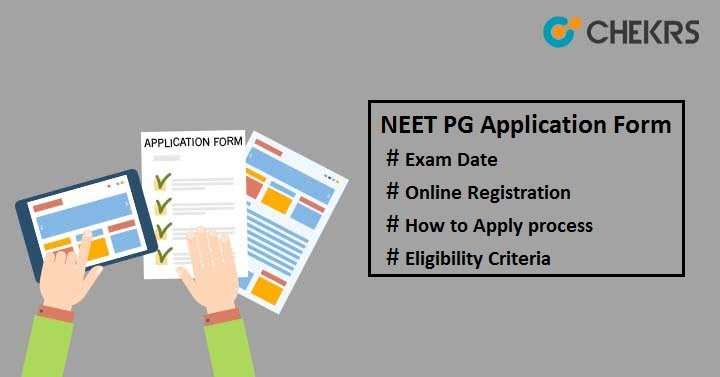 NEET PG 2019 Application Form: Candidates seeking admission to postgraduate medical courses such as MD/ MS /PG Diploma across India will have to appear in NEET PG exam. Registration for NEET PG 2019 is probably to start from October. Update: Official Notification, as well as Registration Form, are expected to be available soon. Stay in touch for more details. Here we have shared information related to dates, eligibility, application form etc. You can also check How to Register for Medical NEET PG 2019 here. Candidates can check the dates of NEET PG Exam so that they do not miss out the vital events. NBE has finally released the examination scheduled for all post-graduation courses on its official website. Successful Registered candidates can download their NEET PG Admit Card from here. All candidates are advised to ensure about the NEET PG Eligibility Criteria before applying for the application form. Overseas & Foreign candidates are allowed to apply for NEET PG. For this, foreign candidates need to pass the screening test organized by NBE. J&K, Telangana & Andhra Pradesh state candidates should have duly signed affidavit from Government of India declaring that they are nominated by them for 50% AIQ (All India Quota). Candidates should have MBBS or Provisional MBBS Pass Certificate from MCI (Medical Council of India) or State Medical Council. Aspirants must have completed one year of rotatory internship on or before 31st March 2019. Check How to Upload Images to upload the scanned photographs, signature in correct way. Go to the New Registration panel, click on “Click Here” button. Read all the instructions and then click on “Proceed”. Again a page will appear with instructions. Click on “Proceed” button to move to the registration page. Fill the registration page with the correct information, tick on “I agree” and then proceed to next page by clicking on “Save & Proceed”. Candidate ID will be generated and sent t to your registered mail id or mobile no. Note down your ID for future use. Log in to the account with the candidate id and password. Change the password with new password and click on “Update” button. You will get pop up message after successfully changing the password. Click on “OK” button. Now again log in to your account to complete the next step of registration. You will see the registration page with 2 buttons “Edit” &”Proceed”. If you want to make any change in the data entered, then click on “Edit” button otherwise click on “Proceed”. Enter the qualification details, internship details, experiences details etc and then “Save & Proceed”. After this you will be forwarded to the payment page. You can also Check City Choice Status option available on the payment page. Click on “Online Payment” tab. Select options (Net banking/ Credit card/ Debit card). Enter the card details and then click on “Make Payment”. After payment you will receive OTP on your registered mobile no. enter the OTP and submit it. You will see message on your screen regarding status of payment. In case of successful transactions, you will receive message Success with Payment ID. A Payment generation page will also appear. If you want to take print of payment receipt then click on “Print” or click on “Proceed” to go to next page. Next step is to select the test center as per your choice or convenience. Upload scanned photograph, signature and thumb impression as per specified format given above. Click on all “Accept” button, then you will see your filled-up application form with 2 buttons “Dashboard” & “Submit”. Click on “submit” button to finally submit the application form. Take the print of filled-up application form for further references. NEET PG Registration form will be made available to eligible candidates only through Online Mode. Candidate must submit the form before the due date with application fees. National Board of Examination (NBE) organizes NEET PG every year to provide admission to interested candidates in various government & private medical colleges. If you have any queries, related to the Registration Procedure, and requirements then you can contact us. Please comment your questions in the message box below.